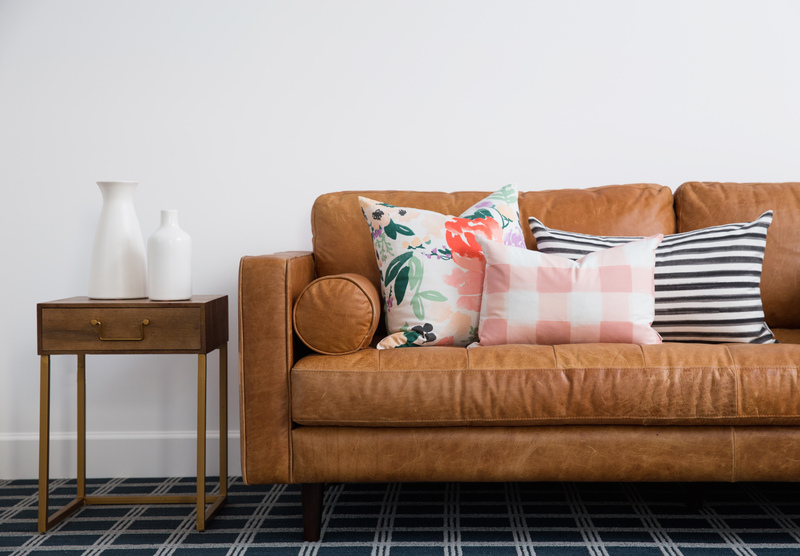 When we first moved into our new home, one of my main missions was to find an affordable leather sofa for our bonus room. 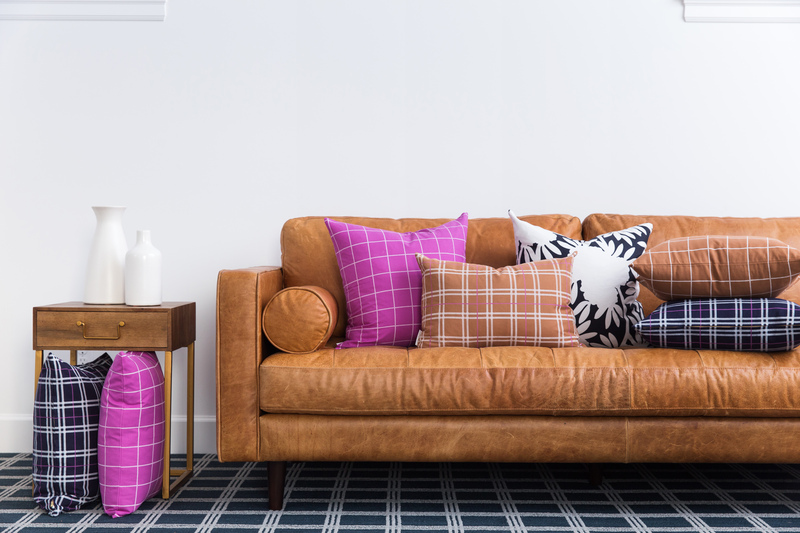 I installed navy plaid carpet in the room to give it a rich, masucline vibe so I wanted a complementing, lighter leather to soften the space. A few weeks into my quest, I found the Sven Charme Sofa from Bryght. I was immediately drawn to the light buttery saddle color and clean modern lines. Ordering a sofa online without being able to test it for comfort definitely made me nervous, but after reading all of the positive customer reviews I took a leap of faith and ordered it. Luckily, it lived up to the reviews. I was pleasantly surprised at how comfortable and soft the leather was and you really can’t beat the price! I love the midcentury shape because it’s stylish enough on its own yet versatile enough to add pillows to give it a different look. I’ve been playing around with different pillow combinations and I have to admit, the possibilities are endless with this sofa! 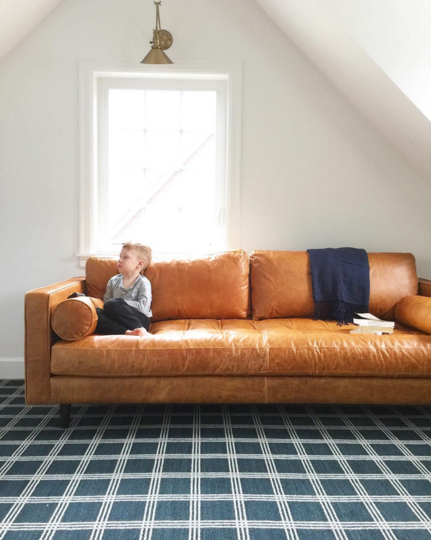 My family couldn’t be happier with Bryght’s Sven Sofa, we love to cuddle up on the weekends for movie night and the day to day wear with kids has been great! It takes courage to order a sofa online. It looks great. I like the plaid carpet, didn’t expect such a nice match of sofa and the plaid carpet. Love the pop of those pillows. It’s beautiful! Thank you for sharing. I ordered the same sofa last night, and I’m hoping I like it since it’s a big purchase sight-unseen. Hi Caitlin. Do you still have your Sven Sofa? Was wondering how it’s holding up.